If you love having your music at your beck and call whenever you need it, but can't be bothered to lug around chunky headphones in order to listen to it, read on. 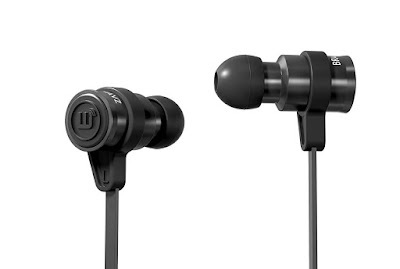 Recently we've been using fine pair of in-ear wonders that manage to combine portability, great sound, and a decent array of accessories to make them easily usable. We review the Brainwavz BLU-100 Bluetooth Headphones. These babies are of the bud-to-bud Bluetooth headphone kind, meaning there are the two earbuds linked by a single short wire. However, unlike most headphones of this kind, the buds themselves are fairly large, and after you discover that the Micro USB port for charging them is in the right bud itself, you can see why. But, because of that, the hub with the control buttons, sat a third of the way along the wire, is incredibly thin, so there is very little weight pulling downwards. 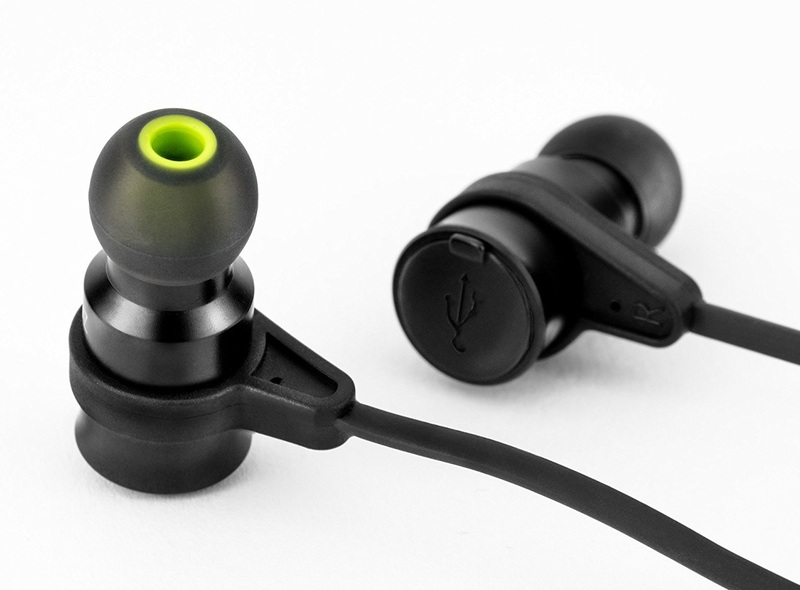 You get three pairs of silicone buds tips of varying sizes, but crucially the Brainwavz BLU-100 also include a sealed pair of Comply S-400 tips; the mouldable kind that expand to fit the cavity of your ear, regardless of the size and shape. With the comply tips fitted, the Brainwavz BLU-100 fit like a dream and the buds themselves are a joy to handle, being made from aluminium whereas other headphones of this price would come in plastic. Included along with the headphones, the tips, and the USB charging wire (which is refreshingly long) is a hard carry case with internal dividers. Regular readers will know that love a decent carry case included with our headphones, and the Brainwavz BLU-100's is a good one. Its small enough to fit in your pocket, but large enough so you can carry everything the headphones need for smooth and comfortable operation. And speaking of operation... how do they sound? 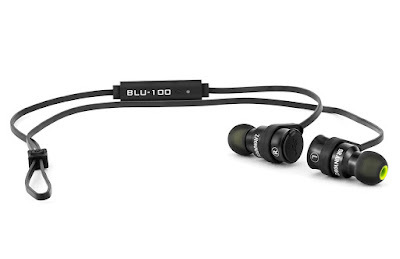 Well, thanks to the built in aptX profile and Bluetooth 4.0, the Brainwavz BLU-100 are very quick and slick when used for listening to TV and movies. 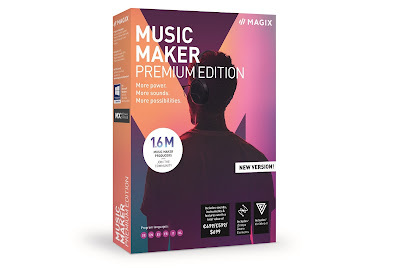 They have a decent bass reproduction (which sounds a lot more powerful when used with the Comply tips) and every genre of music we threw at them sounded spot-on. To be honest, they performed far batter than we expected them too, but that was, at first, our bias at a company we'd never really heard of. We were dead wrong. 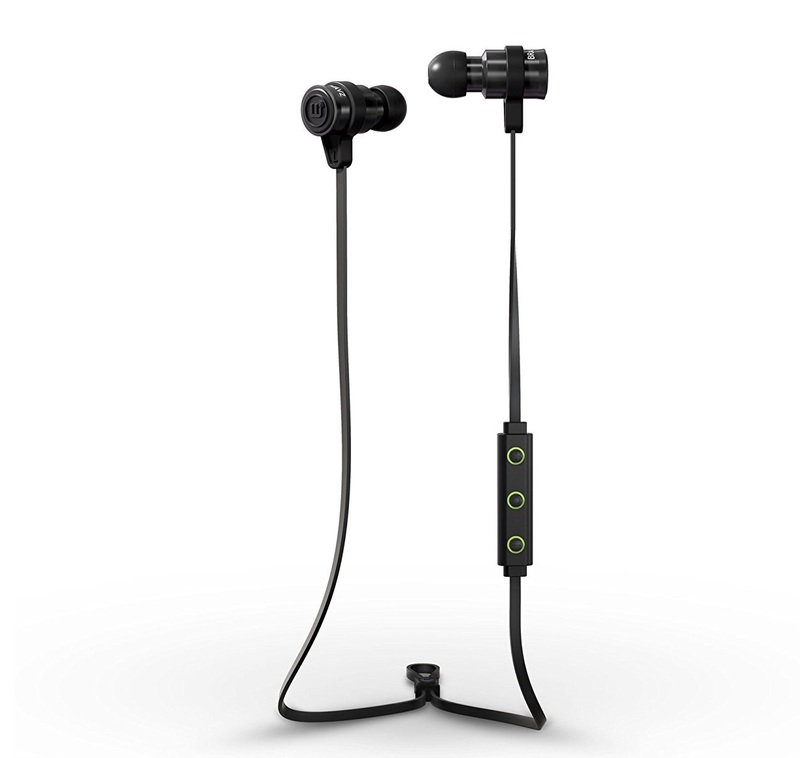 The Brainwavz BLU-100 Bluetooth headphones are exceptionally good value for money, and the build quality really shows in the sound. Good looks, nice audio reproduction, and included accessories to keep anyone happy. This is a win from Brainwavz.